Pablo Picasso is one of the greatest artists of all time – and right up until his death in 1973 he was the most prolific of artists. Many films have dealt with these later years – the art, the affairs and the wide circle of friends. But where did this all begin? What made Picasso in the first place? Too long ignored, it is time to look at the early years of Picasso; the upbringing and the learning that led to his extraordinary achievements. Three cities play a key role: Malaga, Barcelona and Paris. Young Picasso visits each and explores their influence on Picasso, focusing on specific artworks from these early years. The film thus explains how this young artist acquired his craft. Looking carefully at two key early periods – the so-called Blue Period and Rose Period – the film takes us all the way to 1907 and the creation of a critical painting in the history of art – Les Demoiselles d’Avignon. It was a painting that shocked the art world but changed it irrevocably. Picasso was only 25 years old. 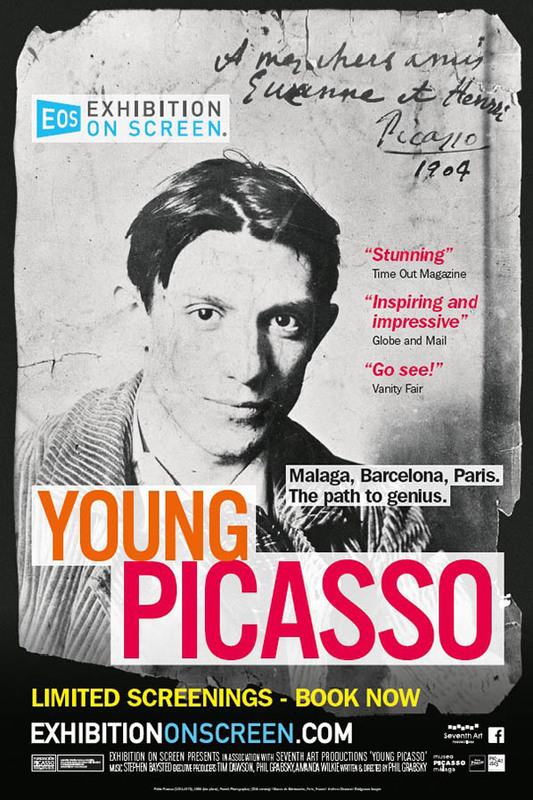 Working closely with all three Picasso Museums in Malaga, Barcelona and Paris this film explains how he rose to great heights.